While St. Petersburg itself has more than enough to keep visitors entertained and absorbed for countless days of sightseeing, the city's surroundings are also rich in places of interest, from spectacular Imperial Estates that showcase the extravagance and opulent tastes of the Romanov Tsars to relics of Northern Russia's medieval principalities, which provide a charming contrast to the more ornate treasures of St. Petersburg. 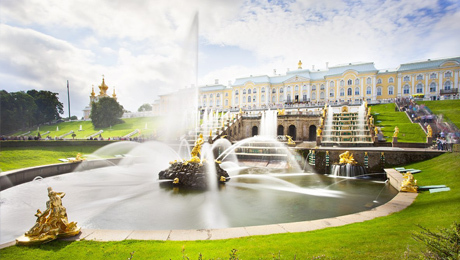 Our out-of-town sightseeing guide provides full travel information as well as in-depth descriptions of the history and architecture of the finest day-trip destinations from St. Petersburg. 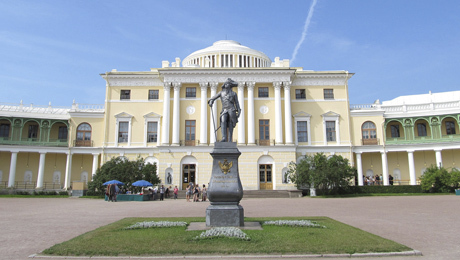 The Great Palace at Pavlovsk is somewhat staid in comparison to its near neighbour at Tsarskoe Selo, forgoing that building's opulent ornamentation for classical elegance and harmony, painted in the deep yellow and white colour scheme typical of St. Petersburg neo-classicism. 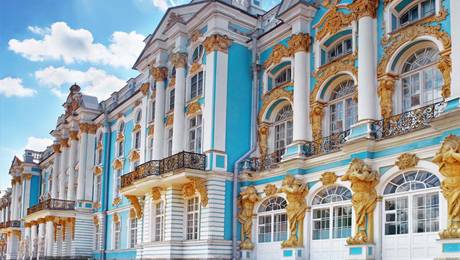 Take some time to visit the beautiful Pavlovsk Palace, perhaps the most resplendent of the Russian imperial family's residences, once the home of Emperor Paul I. Step back in time to a period of fascinating history and opulent living. 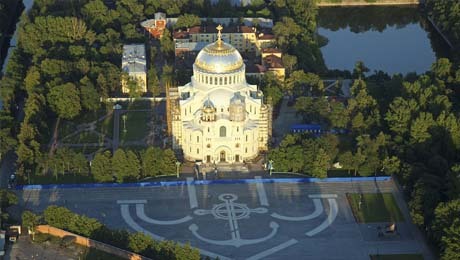 Kronstadt was founded by Emperor Peter the Great in 1704 as a maritime fortress and naval base on Kotlin Island. 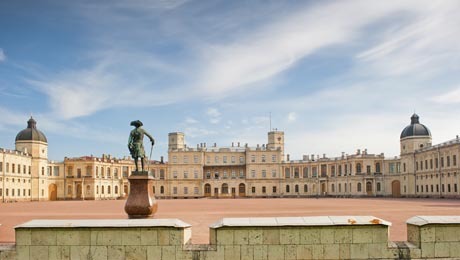 The name "Kronstadt" was invented by Peter the Great, and in German means "Crown City".